Making a Statement With Cosmetic Brick Staining in NYC | Adriatic Restoration Corp. 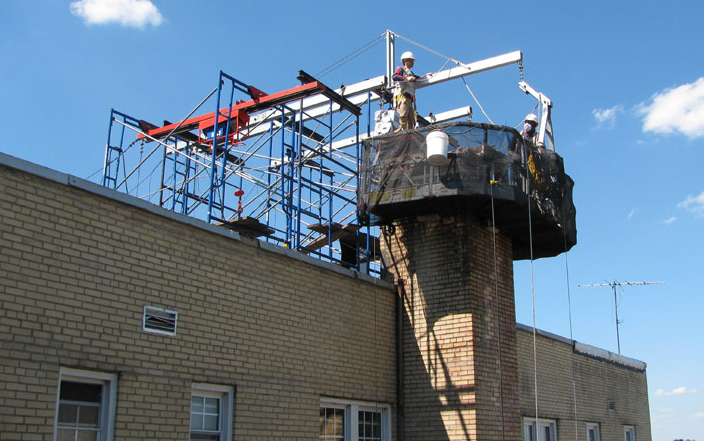 Sometimes commercial buildings, high rise and apartment complex buildings need upgrading. During the renovation process, a large section of the bricks may be removed and then must be replaced. Rarely are the new bricks the same color or texture as the old bricks because over time masonry can become dingy and dull due to inclement weather and destructive UV rays. When that happens, don’t paint it, instead call a specialist that knows about cosmetic brick staining in NYC. Remodeling isn’t the only time to have your building stained. Red brick often bleeds out and turn pink or orange over time. Staining can change the color, brighten faded hues, or even add new life to old brick. A special masonry stain penetrates the surface of each brick. As it soaks into the different layers, it deposits pigments; therefore, the stain can last for years with no chipping, peeling or bubbling. This type of brick repair and restoration in NYC can also easily match your brick color, but you may want to stain all your building’s brickwork. Stain can protect the masonry from acid rain and further fading. Cosmetic brick staining in NYC is a relatively inexpensive and very effective way to update your building’s bricks. Whether your commercial building needs a face-lift or a renovation, try staining your bricks for the look for a beautiful new building.